Learn the real meaning of metaphysical, reality, and consciousness … What is the meaning of life? Why am I here? How can I experience ultimate peace or mind? These are some of the few questions you probably ask yourself. To answer these questions, you have to understand the whole concept of metaphysics. Metaphysics is known as the branch of philosophy that observes the exact nature of reality, whether invisible or visible. It includes the relationships between matter and mind, attribute and substance and a lot more. Metaphysics is a comprehensive scope of philosophy and is not a science. Even if it is closely related to spirituality, it is not tied to any religion. Through understanding metaphysics, you can easily answer any questions you like. 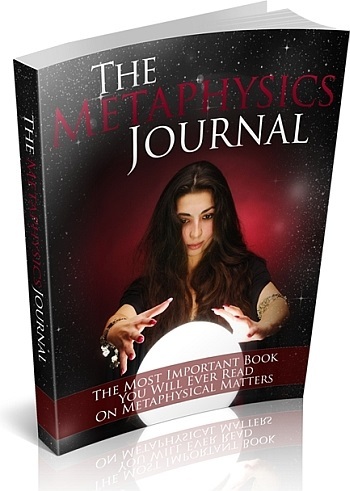 The word “metaphysics” comes from the Greek terms, “meta” and “physika”. Once it is combined, it translates as “beyond nature”. As compared to physics, metaphysics explains things which go further than scientists. Therefore, third eye and paranormal activities came under the introduction of metaphysics. Another essential area of metaphysics is the law governing the universe and the world. Among the different laws, the law of causality is considered as the most significant. It defines each action as a result of an earlier action. This law defines metaphysics and it leads to two distinct perceptions of the world. The predictable causation can either lead to a primary cause or endless causation. There are three branches of metaphysics. These branches include ontology, theology and universal science. Ontology is the main branch of philosophy. It deals with the study of the nature of reality. The theology, on the other hand, is the study of God. It answers of God really exists or not. Among the different types, universal science is the hardest type. It involves the search for the principle such as the origin of fundamental laws, universe, logic and many more. Metaphysicians are people who seek to understand the essence of reality. These individuals desire to know why things exist and the reasons why they exist. With this ebook, you can distinguish the real meaning of metaphysical, reality, consciousness and other related details.